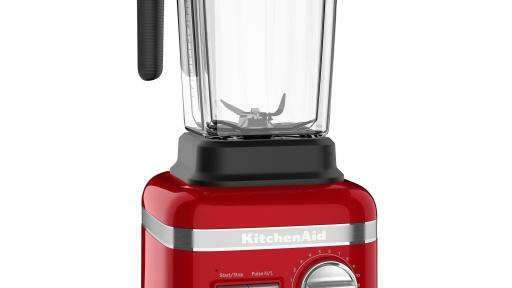 KitchenAid, long known for the power, durability and eye-catching design of its iconic countertop appliances, is introducing the most powerful blender in the market. 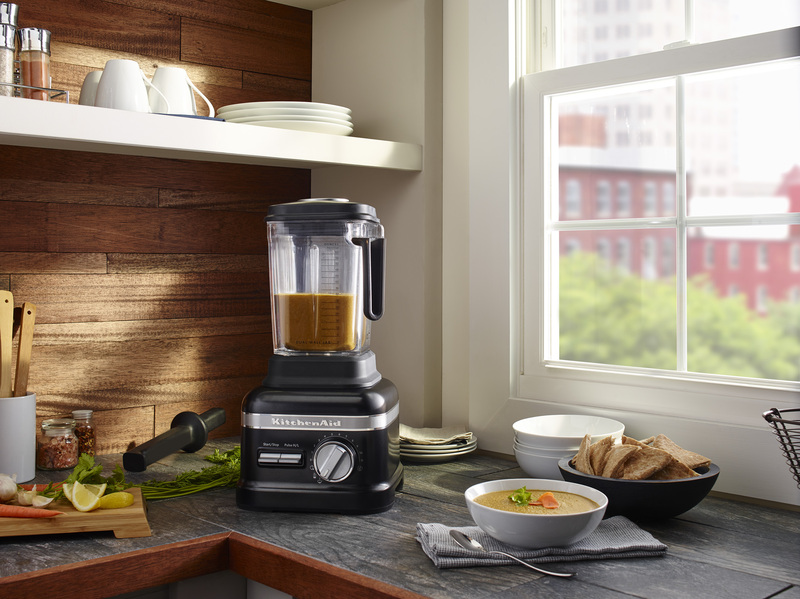 Scheduled for availability in May, the new KitchenAid® Pro Line® Series Blender will be offered in two models launching exclusively at Williams-Sonoma. Both models feature a 3.5 Peak HP motor, a self-cleaning cycle and a 10-year warranty. The upgraded models provide the added convenience of a dual-wall Thermal Control jar that quickly heats blended ingredients in as little as four minutes, stays cool to the touch, and retains the temperature for hot soups and sauces. 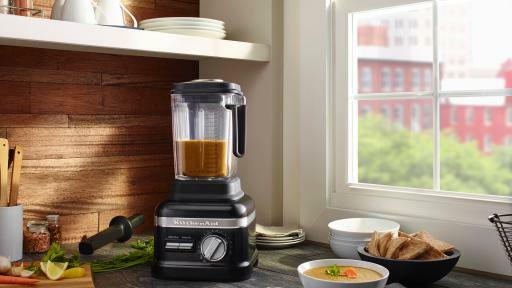 They also feature three pre-set Adapti-Blend™ recipe programs for Soup, Juices and Smoothies. “It's only natural that we would launch the next revolution in blending together,” he said. 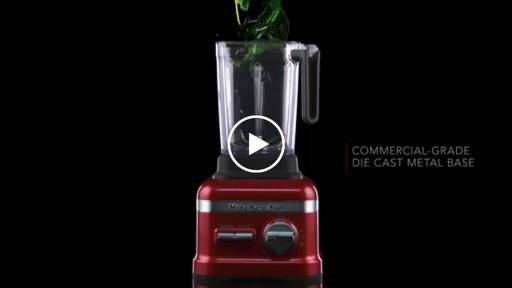 Beyond sheer power, the new blender offers a number of features that make short work of blending even the most challenging ingredients. They include patented asymmetric blades that pull ingredients into a powerful blending vortex; a Flex-Edge tamper that doubles as a spatula for scraping ingredients off the sides of the jar; a jar pad that keeps the container from moving; and an ultra-strong, warp-resistant lid that fits securely on the jar, minimizing spills while in use. 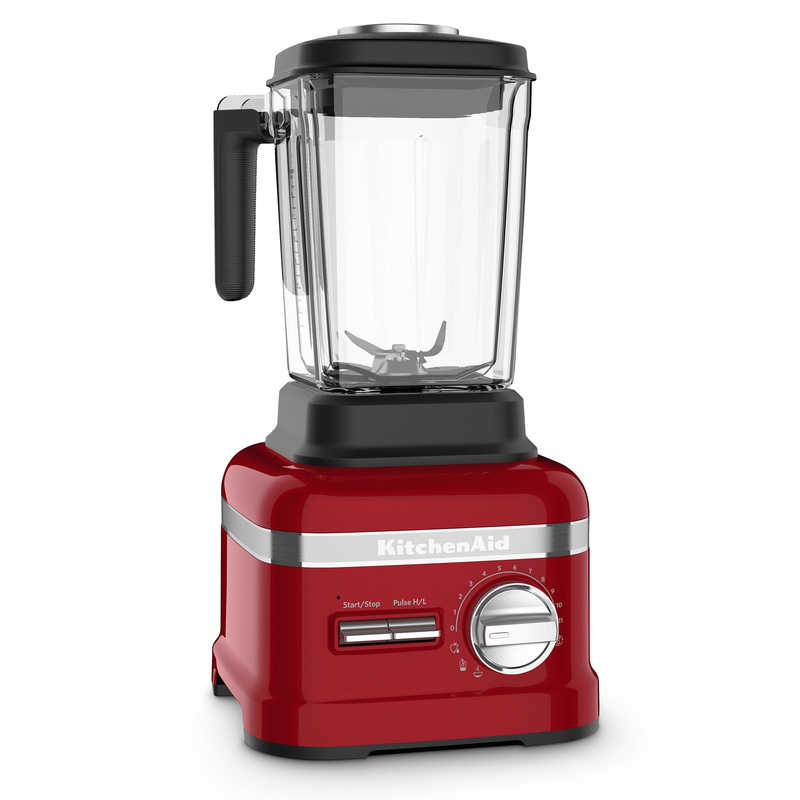 Unlike competitive models, the blender and its knobs are constructed of durable die-cast metal versus plastic. Tess Masters, author of “The Blender Girl” and the popular blog healthyblenderrecipes.com, is among those who have tested the new blender. 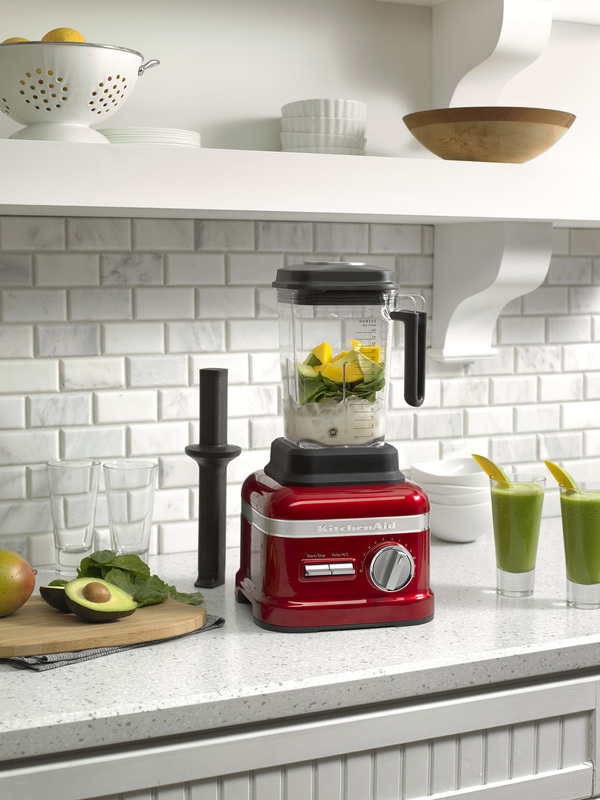 In-store demonstrations of the Pro Line Series Blender will take place at Williams-Sonoma retail locations across the U.S. starting in May. 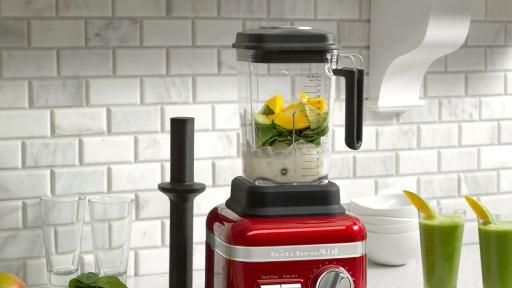 Customers who purchase the Pro Line Blender are also encouraged to take advantage of Williams-Sonoma’s Return to Learn program that offers one-on-one appointments with culinary team experts in stores to learn tips and techniques to make the most of new kitchen appliances. The standard model will be offered in Frosted Pearl White and Onyx Black at a suggested retail price of $599.99. The upgraded model, with a suggested price of $699.99, will be available in Candy Apple Red, Imperial Black and Medallion Silver. Williams-Sonoma will be offering the models at $499.95 and $599.95, respectively. Since its founding by Chuck Williams in 1956, the Williams-Sonoma brand has been bringing people together around food. A member of Williams-Sonoma, Inc. (NYSE: WSM) portfolio of brands, Williams-Sonoma is a leading specialty retailer of high-quality products for the kitchen and home, providing world-class service and an engaging customer experience. Products include cookware, cooks’ tools, cutlery, electrics, bakeware, food, tabletop and bar, outdoor, cookbooks, as well as furniture, lighting and decorative accessories. Each store has a professional demonstration kitchen for cooking classes and tastings conducted by expert culinary staff. Williams-Sonoma Cooking Schools, located in select locations in the U.S. and Australia, offer hands-on classes led by professional chefs. A comprehensive gift registry program for weddings and other special events is available in stores and online. On williams-sonoma.com and the Williams-Sonoma blog, Taste, customers can find recipes, tips, and techniques that help them create delicious meals and wonderful memories. Williams-Sonoma is also part of an active community on Facebook, Instagram, Twitter, Pinterest, Google+ and YouTube.